Fishmas will be here before you know it. I am excited about that, are you? To begin with, you’ll need a place to hang your fishing hat for the night and a fishing license. I can help you find the perfect overnight accommodations in Mono County. At the moment, there are so many beautiful places to rent or buy in the Eastern Sierras. Some of the properties offer direct lake access. Others are located within an easy walk or drive to the water’s edge. So just pick out a few fishing spots that you may want to try. Ones to consider are Convict Lake, Crowley Lake, Lundy Lake, Mammoth Lakes Basin and June Lake. Then let me know what your choices are. That way, I can narrow down the field. As for the fishing license, you can buy one online through the state. Prices for 2014 licenses range from $15 to $125. The state also offers access to stocking reports. You can find fishing reports available through many Mono County marinas and fish camps too. Among those that offer such reports are the Crowley Lake Fish Camp, Gull Lake Marina and the Bridgeport Reservoir Marina. Water levels, temperatures and other fishing relevant information are available from the U.S. Geological Services' website as well. Of course you’ll need some trout fishing gear too. No worries there because Mono County has its share of bait and tackle shops. Some of them are located within the area’s marinas. Examples include the Grant Lake Marina and the June Lake Marina. Others, like Annett’s Mono Village and Bell’s Sporting Goods, are located nearby. So well-tied flies and additional fishing supplies are never very far away. Stop on your way up in Bishop at locally owned Reagan's Sporting Goods for some hometown experience and goods. To learn more about Mono County’s best fishing spots, please contact us at (855) GO-MAGGIE or send an e-mail. We’d also love to have anglers stop by our Sierra Resort Property Management Facebookpage or visit with our Mammoth Realty Team. 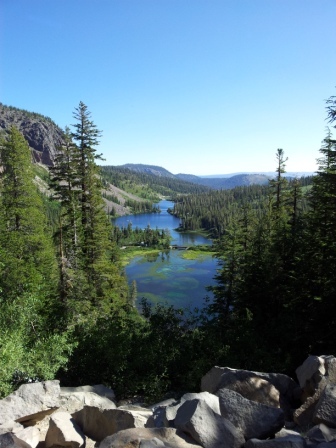 Mono County trout fishing tips are always welcome!